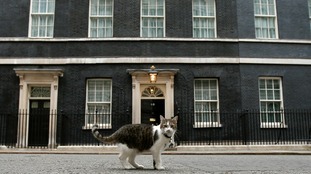 Westminster cats Larry and Palmerston come first in Downing Street, says former deputy prime minister Nick Clegg. 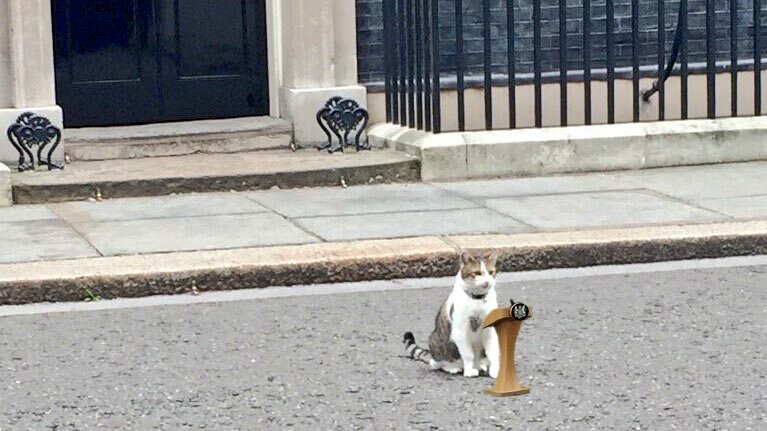 The Lib Dem Brexit spokesman says that even the layout of the office at the heart of government is partly dictated by the presence of the Number 10 cat Larry and his arch-rival Palmerston, who lives at the Foreign Office on the other side of the street. Mr Clegg was speaking on Absolute Radio's Christian O'Connell Breakfast Show when he revealed there is even a special security door for the cats. Mr Clegg said: "There's lots of crowded stairs and cluttered offices, and then there was this funny little door that you had to kind of speak to someone on a microphone (about) to get from one part of the building to the other. Larry and Palmerston, who were brought in to control a mouse and rat problem in the centuries-old buildings, have had several stand-offs in Downing Street as they prowl their territories. 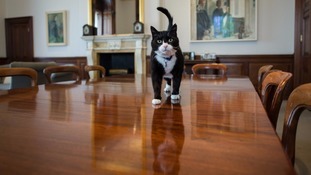 Larry, whose official title on Twitter is Chief Mouser to the Cabinet Office boasts almost 95,000 followers.